Ships today if you order in the next 1 hours 49 minutes. This formula enhances B-Complex Plus with additional vitamin B6. Vitamin B6 is important in amino acid metabolism, hemoglobin formation, nerve impulse transmissions, and hormone synthesis. 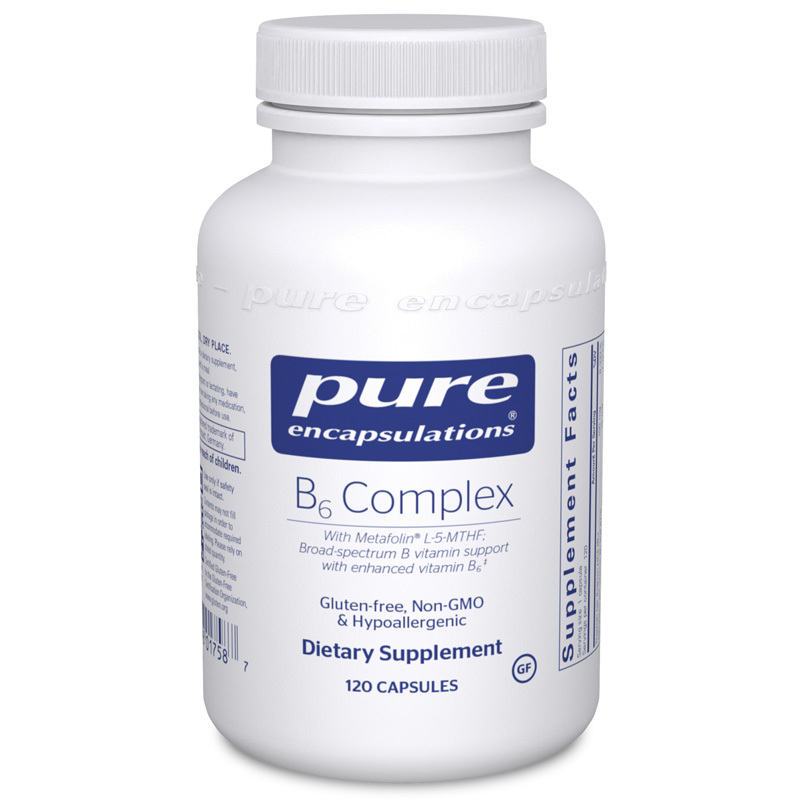 B6 Complex offers the wide ranging support of B-Complex Plus with all the added benefits of vitamin B6. Adults: As a dietary supplement, take 1 capsule daily with a meal. I've been pleased every time I receive my orders, and free shipping is always a plus!! Very pleased with the quality of this product, the fast delivery, and ease of ordering. I highly recommend this company.